California Criminal Medicare Fraud Defense Attorney - Oberheiden, P.C. Medicare fraud is a federal crime and is generally investigated by federal authorities. The two federal departments that are most involved in enforcing Medicare laws are the Department of Justice (DOJ) and the Department of Health and Human Services (HHS), with the DOJ traditionally handling criminal investigations and HHS traditionally handling civil investigations. Within the DOJ, the Federal Bureau of Investigation (FBI) plays a large role in investigating allegations of Medicare fraud. Within HHS, the Office of the Inspector General (OIG) is the primary investigative agency. The DOJ and HHS have recently increased their collaborative investigative efforts through joint task forces such as the Health Care Fraud Prevention and Enforcement Action Team (HEAT) and Medicare Fraud Task Forces in select cities including Los Angeles, California. Additionally, the Center for Medicare and Medicaid Services (CMS) participates in monitoring and detecting Medicare fraud. Criminal charges are the most severe threat to targets under investigation for Medicare fraud. Individuals who have been criminally charged with Medicare fraud often suffer invasive, embarrassing, and disruptive searches and seizures, such as raids of their homes and offices. Confiscated items may include cellular phones, computers, and hardcopy documents as well as personal or business banks accounts. Individuals who are ultimately convicted on criminal charges of Medicare fraud are subject to severe penalties including lengthy prison terms, probation, and large criminal fines. Achieving a criminal conviction on Medicare fraud charges is significantly more difficult that prevailing on civil charges. A prosecutor must prove – beyond a reasonable doubt – that the defendant intended to defraud Medicare. Medicare fraud investigations may also be civil in nature, in which case the target’s exposure is generally more limited. But even civil charges should not be taken lightly. Penalties for civil charges of Medicare fraud include civil monetary penalties of up to $21,563 per violation, recoupment of up to three times the government’s damages, non-payment of claims, repayment of the government’s legal costs and fees, and exclusion from participation in federal healthcare programs. Civil cases may prevail with weaker evidence of improper intent than criminal cases. From our experience with hundreds of Medicare Fraud cases, we have witnessed first-hand how allegations of fraudulent activity can result from mistakes or confusion about recent changes in healthcare regulations. Over-worked or under-trained staff members, lack of organizational oversight, or employee negligence can cause errors in billing processes or documentation. There is a huge difference between an honest mistake that resulted in an overpayment and an intentional attempt to defraud Medicare. At Oberheiden, P.C., we understand how innocent mistakes can be made, and we routinely help our clients avoid criminal charges and mitigate or even eliminate civil liability by proving to federal investigators that the activities in question resulted from human error or misunderstandings and not fraudulent conduct. After years of defending Medicare fraud investigations, we know that the earlier a target has a defense strategy in place, the more likely the target will avoid civil or criminal charges following the investigation. Therefore, at Oberheiden, P.C., we treat every case as an emergency and start working on our clients’ cases immediately after we are hired. We strive to answer our clients’ most pressing questions as soon as possible, such as: Is the case civil or criminal? What exposure to liability do they have? What charges are at issue? What is the scope of potential outcomes? With considerable experience in federal healthcare fraud defense, Oberheiden, P.C. serves clients across the United States and particularly in Medicare fraud hot spots such as California. We assist clients many types of healthcare investigations including by the Federal Bureau of Investigation (FBI), the Drug Enforcement Administration (DEA), the Department of Justice (DOJ), the Department of Defense (DOD), the Department of Labor (DOL), the Office of Inspector General (OIG), the Internal Revenue Service (IRS), the Medicaid Fraud Control Unit (MFCU), HEAT, and other task forces. 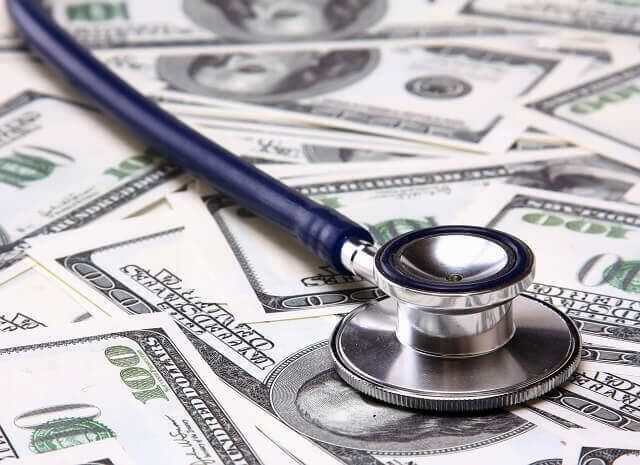 Successful Defense of a Healthcare Business against an Investigation by the Department of Justice and the U.S. Attorney’s Office for Alleged Medicare Fraud. Successful Defense of a Healthcare Business against an Investigation by the Department of Health and Human Services for Alleged Medicare Fraud. Successful Defense of a Healthcare Business against an Investigation by the Office of Inspector General and the FBI for Alleged Medicare Fraud. Successful Defense of a Marketing Company against an Investigation by the Office of Inspector General and the U.S. Attorney’s Office for Alleged Medicare Fraud. Successful Defense of Physician Syndication against an Investigation by the Office of Inspector General and the FBI for Alleged Medicare Fraud. Successful Defense of a Toxicology Laboratory against an Investigation by the Office of Inspector General for Alleged Medicare Fraud. Successful Defense of a Toxicology Laboratory against an Investigation by the Office of Inspector General and the FBI for Alleged Medicare Fraud. Successful Defense of a Physician against an Investigation by the Office of Inspector General for Alleged Medicare Fraud. If you are a California doctor or healthcare professional that is under investigation for Medicare fraud, you need to contact legal counsel immediately. The experienced attorneys at Oberheiden, P.C. are available seven days a week, including weekends, to speak with you about your case.